The s-curve silhouettes are slimmed and has been elongated by a considerable amount since the 1830s. The dress has low chest and curvy hips, and has removed pressure from the abdomen which made women more comfortable. The neckline of the dress was supported by very high boned collars. The shape of the corset allowed the bosom to hang low and was unarticulated in front, but the hips were pushed backwards. 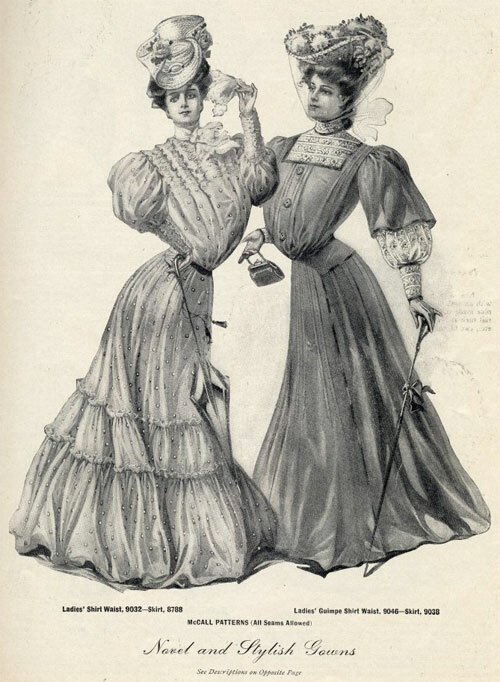 During 1900 to 1910, the Industrial Revolution Era has influenced fashion the most. What interested most of this dress was the thin waist that is emphasized from this dress, and the s-curve design. I found this image interesting because I think this image highlights the distinctive features of the s curve silhouette well. Since I am not in fashion design, I could only talk about the relation of this dress and my personal style. I believe that this design is different who my personal style that I prefer, because there aren’t a lot of dresses in this design that could be worn casually. The fashion in the 1960s were influenced by the surroundings of the decade. Public acceptance at this time made the designs in relaxed shaping and lowered waistline, which became a popular silhouette. American and European collections focused on silhouettes made low-waisted, but also reintroduced the princess shape, narrow tubular, or oval outline with little or no waistline. 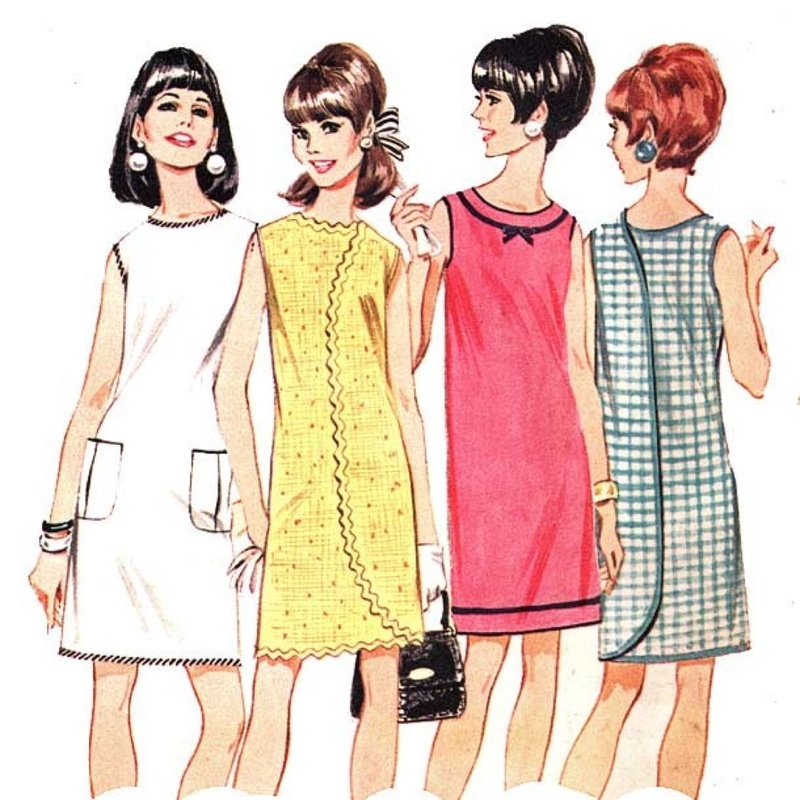 Designers that were popular and well known in the 1960s were Pierre Cardin, Andre Courreges, Bonnie Cashin, Givenchy, Yves Saint Laurent, Pucci, Pacco Rabanne, and of course, Mary Quant. What interested me from this image were the way that women are dressed in this illustration. 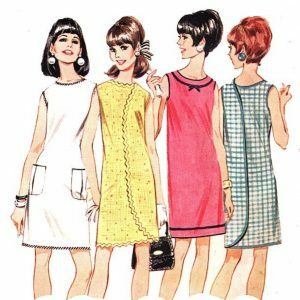 They were much more sophisticated compared to the first image I chose, and was interesting for me to know that fashion has improved the most in the 1960s. 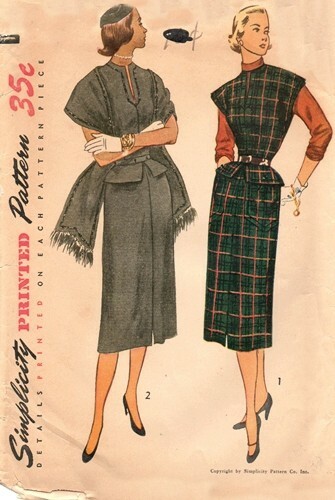 The designs of the tubular dresses are also not related to my own style, but I have seen many middle aged women wear dresses in this design including my mother. The elongated inverted triangle silhouette in the 1910s had a more subtle outline. This dress had wider shoulders and narrower hips, which were their distinctive features. The earlier inverted triangle designs were longer in length, usually floor length, and narrow at the bottom. I chose this image instead of the images that show the dresses in floor length because of the sophisticated designs of the dresses drawn. I think that this elongated inverted triangle silhouette is my favorite among the other dresses I have chosen for this assignment.